For those of you that haven't been with us to Africa you probably haven't met Megan. I met Megan about 6 years ago in Africa. At the time she was working for another ministry and Arise Africa didn't even exist. We kept up through the years and hung out every time we got a chance. Fast forward some years and Megan began working with us about a year ago. She is from Chicago (I know but she is a Texan at heart she tells me this all the time, jk :) and lives in Zambia full time. In fact she has lived there for 7 years, she's like part native Zambian. She's legit folks. Megan works SO hard for us and doesn't cost anything. Yep thats right she raises her own support and is the hardest worker I have ever been with. I am constantly humbled and honored to work alongside her. You haven’t received an update from Megan in a while and that’s not her fault but probably Arise Africa’s! We have been working her to the max! In fact so much she hasn’t had the time to give you an update. I thought I would take this opportunity to write a report for Megan. 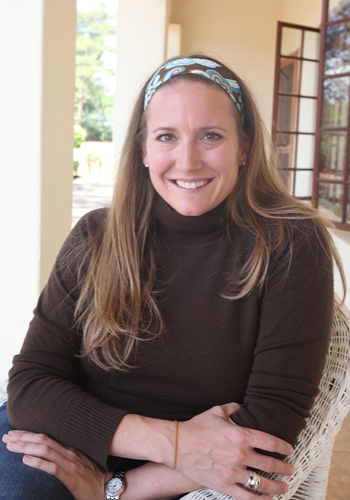 Megan started working with Arise Africa a little over a year ago. And WOW has she been busy and done amazing work for us! Megan jumped right in to our ministry and quickly learned the ropes. She has taken over our child sponsorship program and made it much more effective and manageable. She quickly implemented great Bible teaching program in our schools with our Child Sponsorship officers. Megan also revamped and checks and edits every single child’s report monthly that our officers send to the USA. This has drastically helped the USA side of things run smoother. She spends hours in our office teaching our child sponsorship officers how to use the computers, upload photos, and where their grammatical mistakes are. She doesn’t just fix their issues but she teaches them how to write better reports. And our staff loves the teaching. As you probably know Arise Africa is in the process of building an orphanage and getting kids in the home. The home is finished and furniture is going in as we speak. Megan has planned and done all the furniture shopping herself. She picked out kitchen cabinets and tiles. She sought out the best carpenter in Lusaka and helped him design the 12 dressers, 2 dining room tables, 3 library tables, 6 bar stools, 3 couches, and other things we need! She worked with a welder and had bunk beds made. We went fabric shopping for bedspreads and I couldn’t even help with that, Megan was MUCH better at it than me! She has tirelessly worked on getting electricity hooked up to our home which happened about a week ago. Trust me, it might have been easier for us to build our own power plant folks. I was about ready to give up but Megan stuck with it. I’ve spent the past few weeks working with Megan in Zambia trying to help where I can. I’m not much of a help let me first admit that. I can do minor errands but Megan is certainly running the ship and it is impressive the amount of hours she is putting in. I am humbled at her sacrifice for the kids in Zambia she serves. A typical day for Megan starts around 6 AM when she leaves her house. She grabs some coffee and heads to our office and beats traffic and checks email and does internet stuff before it goes out for the day or becomes as slow as the AOL dialup era. At about 8 or 9 AM Megan is either running to get the donated (of course Megan’s connections) vegetables and eggs that we receive weekly and delivering them to our community schools. They are NOT close to one another! She takes time to talk to our staff and finds out that one school is out of water and has no well. She gets on her phone and calls her friend that has a canter truck and he volunteers to help us ship water in. Problem solved. Then she is probably is running to buy something for the orphanage, like gas tanks or pillows. Then she might go out to the orphanage (nowhere close to our office of community schools!) and is checking on kitchen cabinets that are getting installed. She spends time to call the electric company and remind them we have no electricity and have been asking for months. And then the head of social welfare calls and asks Megan to meet her in town in ten minutes to discuss our application to have an orphanage. So Megan jumps in her car and takes all the secret back roads into town to avoid traffic and meets the woman for “lunch.” But Megan doesn’t order she doesn’t have time! Megan gets grilled for about 30minutes on why we want an orphanage and how we will run it and at the end of the meeting the woman is satisfied and they part. Then Megan quickly heads to the police station because there is meeting with the man that hit one of our cars a few weeks ago and ran off. Others chased him down and his car was registered to a company and Megan knew his employer (of course she knows EVERYONE in Lusaka). The guy has tried to get away from having to pay and Megan contacted his employer and the police were able to get involved. So Megan meets the man that hit us with our other staff member Chipa, and the police. Megan has all the paperwork, photos of our car, and our insurance papers so that he has nowhere to hide. The situation gets worked out and an appointment is made to have our car towed to the mechanic. Now it is 2PM and the cabinet people are calling at the home because they have a question. She runs out there to figure out the issue before the cabinets are drilled in the floor. Then Megan runs back to our offices and spends a few hours with our child sponsorship officers working on their reports. Now it is the evening which means I have just woken up in the USA and I call to check in. My calls usually have a few more tasks that our Zambia side needs to do. She gives me updates and says they can take care of the things I need. It is now 7PM and she begins her drive home, in bad traffic. But Megan drives like a crazy Zambian minibus driver which helps. That’s a typical day for Megan. The days are long and exhausting as Megan fights traffic and juggles an overwhelming schedule in a third world country. I don’t know what we would do without her. I know FOR SURE that we would not be able to operate and help as many kids as we are right now. I know that we wouldn’t have an orphanage getting ready to be opened. I know our Zambian staff wouldn’t have a friend to help them with their jobs and help solve issues. I know it would be hard to get reports written, kids fed daily, and the care we provide would go down. And I wouldn’t have such an incredible individual on the ground. Megan never complains about her job and all the running around she does. She spends her support money on gas and everything else and is willing to help with anything. She doesn’t hesitate to do any job. Without Megan’s supporters she wouldn’t be able to be in Zambia doing the amazing work she is. She deserves so much because of her sacrifice and I wish Arise Africa could help her financially more. I want to thank ALL of Megan’s supporters who pray for her and fiscally give to her. I don’t want you to think for a second that your money is not used well. I can promise you Megan works HARD and on a small budget. Words cannot express the blessing you are having on the kids we serve in Zambia because of your support. From the bottom of my heart I thank everyone who supports Megan and pray that more will do so! Megan is a servant and a faithful worker for the Lord. I pray that God blesses her and keeps her safe.